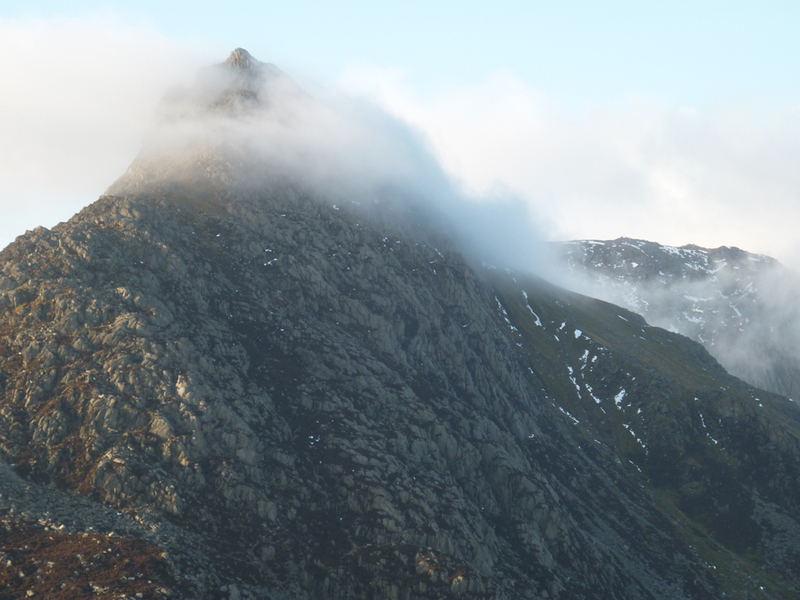 I’d been thirteen for nearly three months when I first stood on top of Tryfan. Nothing remarkable in that, really, except the fact that my two mates were also thirteen and the responsible adult had (driving very responsibly) dropped us off at Ogwen Cottage a couple of hours previously. Mind you, we weren’t inexperienced. 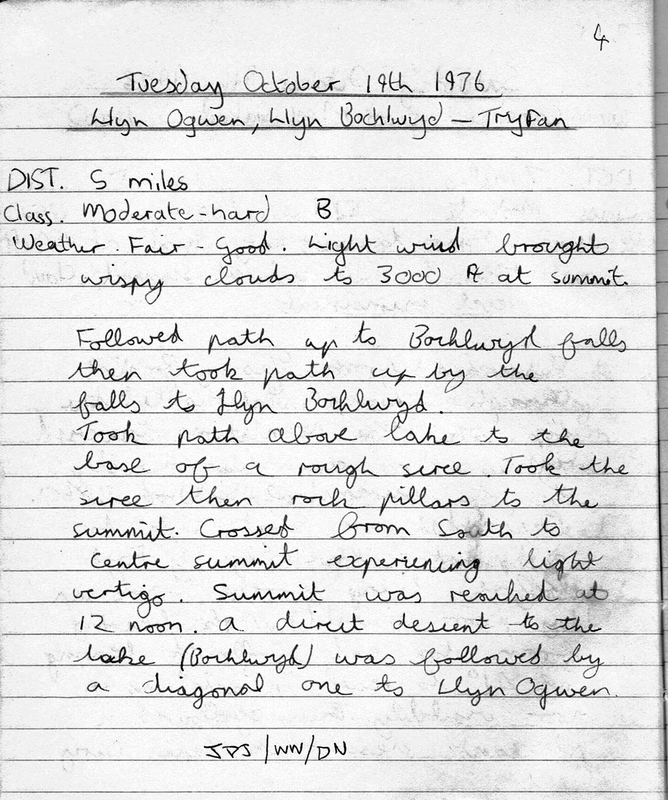 We’d already made numerous forays onto the hills, including a misty ascent of Moel Siabod the week before and well-equipped (from Kyffin’s in Bangor) we had done due diligence on ‘the mountain you will see in dreams’. Someone said that about Tryfan. I can’t remember who. Put it in context. There was Poucher, Rowland and the square, two-and-a-quarter-inch to the mile OS sheets. Oh and there was ‘staring at the mountains every day’. Was it safe to let three unaccompanied thirteen year old boys onto the mountains of Snowdonia to explore and experience things in this way? Was it foolhardy? It’s always tempting to damn the smartphone, console generation for seeking their thrills in a sanitised, electronic world but perhaps we should push their parents a bit more. Risk, danger, exposure… or care, thought, choice? We were granted the opportunity, we studied the sacred texts, we taught ourselves how to use a map and compass and we developed instincts. By the time we were fourteen, some of the weather in the face of which we retreated, was as savage and brutal as it is possible for weather to be. Anywhere. The gods of mountains so close to the sea have short tempers and if provoked, can summon storms that in seconds will flatten you to the stony turf if they have not first lifted you bodily from the earth, billowing cagoule and all, into the needling air. When the Bristly Ridge is iced over, take the tortuous scree next to it; when visibility is ten yards, stay off the Rhinogydd but if you need to feel the burn when the Atlantic is sending over its finest, go up Foel Fras via Drum… you can always hang on to the fence on the way up and shelter behind the wall at the top. In 1976 there were few block paved paths. The implication of this was that you had to know where you were. It wasn’t enough to simply look down at your feet and follow the staircase to the top. In any case, on Tryfan, a false move might (and still regularly does) cost more than a scuffed seat of the pants. I think our awareness developed in a way that that the block-paved generation cannot imagine. We didn’t leave anything to chance, we weren’t lulled and we planned everything. We loved it. On top of Tryfan on that bright October lunchtime, my diary records that I experienced what I described as ‘mild vertigo’ crossing between the south and main summits. I’d never stood anywhere like that before and it took until the next visit to summon up the courage to jump from Adam to Eve and back. The plunging gullies and the wheeling crows; the goats and looking down on the crawling insect cars; the stunning rock architecture and the clean, clean air – it all still moves me very time I pay a visit to that sacred spot but never as much as it did on that day. I did the “step” from Adam to Eve once. Once is enough … it counts. My legs are shorter than yours.